With information technology continuing to expand, keeping sensitive information secure has become more important than ever, but also more challenging. We can put your mind at ease by ensuring that all your information is secure. 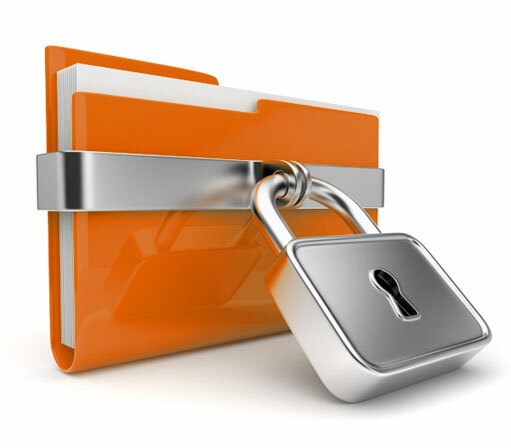 Ribbon Encore can help protect your document security. Here are four questions you should consider! 1) Are your obsolete documents being disposed of properly? Do your documents sit on a bin waiting to be destroyed, accessible to anyone who walks by? The proper shredder can make your business more efficient, and more secure. 2) Does your multi-function printer protect your documents? Can important documents be copied, emailed or faxed without a trace? Our Sharp line will help you here: Bertyl Security PDF . 3) Can you track who has opened, copied, or changed each document? Can you view your document history or easily find misplaced documents? We can help guide you towards a document management software solution. 4) Does your network protect your documents? Your organization's confidential information and security is too valuable to leave unprotected. Our IT Partners can help.